I've been on the road for several weeks and am finally HOME!!! I enjoyed Salt Lake City. Spending time with my Handi Quilter Educator girls is always a treat. I learned new tricks on the Pro-Stitcher and can't wait to use them! Quilting Possibilities in Forked River, NJ was a brief stop, but well worth the trip. 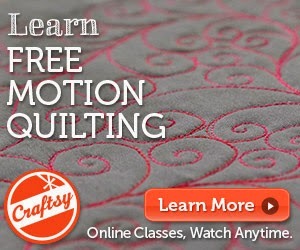 Great quilters, wonderful shop! The quilt show in Lancaster, PA was a first for me. I enjoyed meeting Bonnie and seeing the Calico Cat and Kitten there. I just wanted to grab that baby and squish his cheeks. I'm willing to wait a few years, but I need grandbabies. I was looking forward to 6 mellow days at home after the show. The days were more mellow than I wanted..... I was in bed with the plague. Some kind quilter in Lancaster shared it with me. I went through a couple of bottles of Purell making sure that I kept this bug to myself. I hope I was able to accomplish that goal because this knocked me flat. Machine Quilter's Exposition in Manchester, NH almost passed me by, but I rallied and spent a week there. I was moving slowly and speaking quietly, but I made it! Janet-Lee and Mary do such a great job with that show. My students were wonderful and I am honored and humbled that they spent their valuable time in my classes. 36-hours home! I slept, did laundry, slept, and drove to the airport to go to Quilt City, USA!!! Paducah is quite a kick. Busy, busy, busy and quilters as far as the eye could see. I babysat sewing machines in Sally Terry's classes. If you get a chance to take a class with her, you will never regret it. She's a great lady, a generous teacher, and a hoot to be around! Ask her to tell you about the escalator when you see her. After a 2 hour drive to Nashville, an uncomfortable run-in with TSAs at the airport (hi, could you please not throw my dirty undies around where everyone can see while insisting I have shampoo in my bag when it's a HAIRBRUSH for crying out loud), a flight to Charlotte, a flight to Hartford, a two hour drive home, and a far-too-short nap, I'm home for the next few weeks. There will be lots of quilty pics. Hopefully I'll get back to the cooking/cleaning/laundry and give my poor husband a break. He's been a true hero for the last 4-5 weeks and deserves some time off. The rest of tonight will be spent catching up on American Idol and sleep. Back to quilting in the morning! Thanks for reading this link-tastic post! A week in a hotel room for the Lancaster quilt show provided me with time to bind quilts! Recently, I made a Yellow Brick Road quilt from the Taxi Fabrics from Timeless Treasures and had five blocks left at the end. I pieced the yellow and white squares to fill out this sweet little quilt. It's 42x42 and is for my cousin's new baby. He's a Pittsburgh baby and needs a black and gold quilt. Go Steelers! In case you were looking for the finished Yellow Brick Road quilt, it's not bound yet. Shock! I was surfing quilt blogs (a true shocker, I know) and stumbled across this post. I'll be away from my sewing room for the next several weeks, but hope to start making my own twilts when I return. Anyone else interested? The Fifty Finishes are on hold for a bit. I'm doing quite a bit of traveling and teaching now that the book is printed. The fabric is from Mark Lipinski's new Krakow line. I was at Quilting Possibilities in Forked River, New Jersey last weekend and the fabric followed me home. I wanted to make this little bag to bring to the Lancaster quilt show with me, but I ran out of time. Now this hotel room has everything! And I signed my first copy for a customer at the Lancaster Quilt Show! I seem to be over-using exclamation points!